Lead archaeologist Laura deBoer documents one of the brick channels revealed during our 2017 dig season. 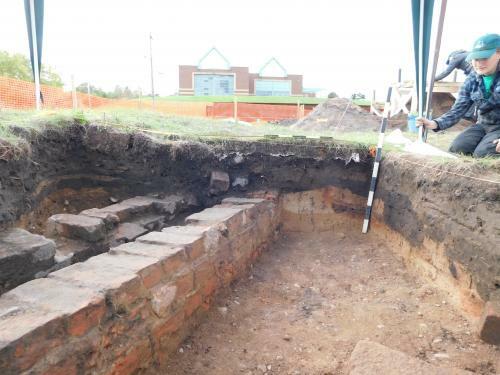 It is believed to be associated with an 1828 iron foundry on our site. In 2017, we carried out work on some of the pits explored by volunteers in 2016, and also opened up some of the areas started in 1989 and 1992. We held a weekend public dig with more than 100 participants supervised by 6 volunteer archaeologists. Find out more.